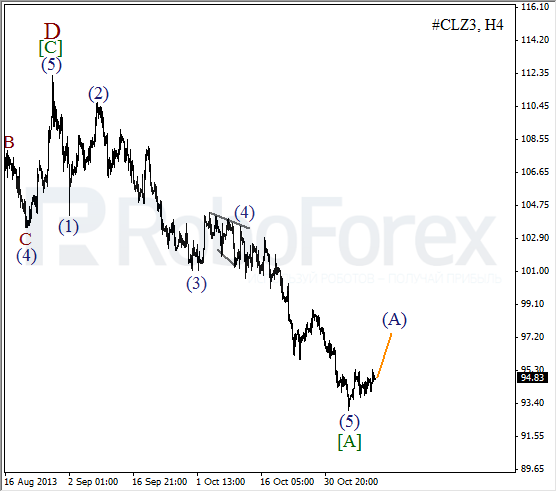 Bulls continue forming ascending diagonal triangle pattern with the third wave inside it. Possibly, instrument may break maximum during the day. However, there might be many alternative scenarios, so I have only one short-term buy order with close target. More detailed wave structure is shown on H1 chart. 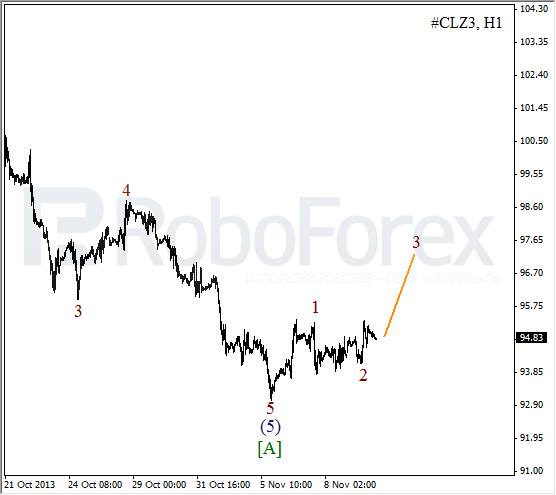 Price completed wave (2) in the form of zigzag pattern and right now is finishing an ascending impulse. After local correction, instrument is expected to continue growing up inside the third wave. It looks like price is starting correction. 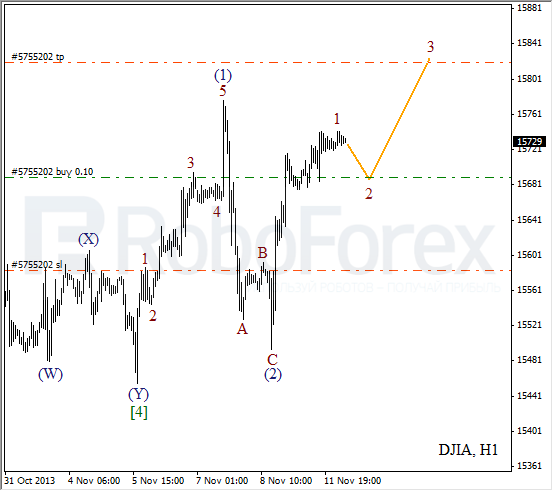 Probably, Oil completed bearish impulse inside wave [A] and right now is forming bullish impulse inside wave (A). If this assumption is correct, instrument may grow up quite a lot during the next several days. 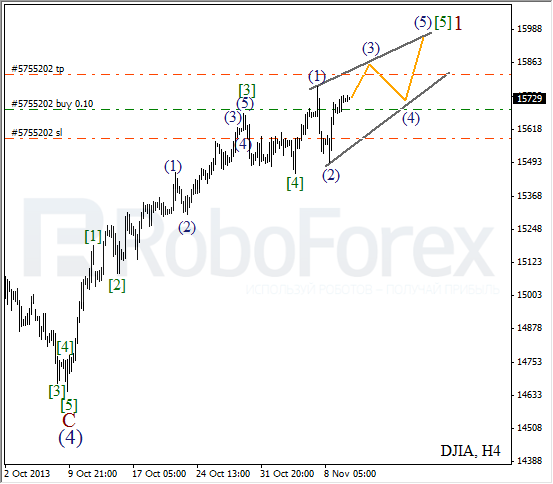 As we can see at H1 chart, impulse in wave 1 was completed with truncation inside the fifth wave. It looks like wave 2 has also been completed. Probably, during the next several days instrument may start growing up inside the third wave.